90-minute DVD featuring fishing guide, Steve Welch giving fishing tips and techniques. This is the second in a four-part series of fishing DVDs. This how-to fishing DVD talks about fall & winter crappie fishing patterns and how to catch a ton of fish! This how-to DVD was filmed on Lake Shelbyville in Central Illinois. 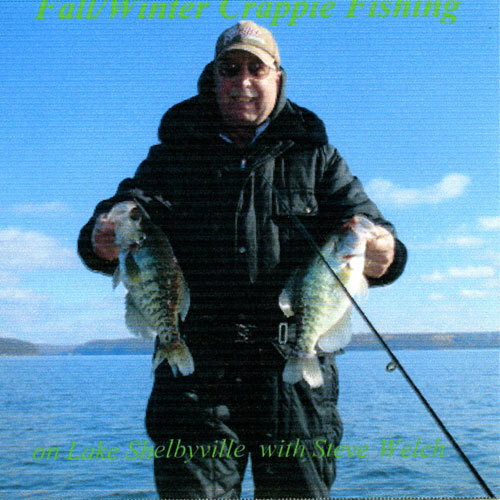 It demonstrates crappie fishing techniques for enjoying freshwater lake fishing in the fall & winter months.